Since Google I/O, we haven’t heard much about Google Glass, the eyewear computing project that Google co-founder Sergey Brin is heading. The most recent sighting was at New York Fashion Week, but no new details of availability or functionality came out of it. We did learn a couple of new things about the future of Glass today, thanks to a sit down between Brin and the Wall Street Journal. During the interview, Sergey let the interviewer wear Google Glass and activate it by saying “OK Glass,” which popped up a menu that would all you to take a picture, record a video, place a phone call, send a message, or use Google Maps. According to this piece, Google Maps and phone calls/messages are only in a prototype stage and not yet working on most models. That’s a bit unfortunate, as it still seems like pictures are the only thing Google Glass is capable of doing to date. If pictures are your thing though, you can take one by saying “Take a picture” or have it take one every 10 seconds with a time lapse feature. There is also some sort of 360-degree panoramic video experience that shows up in the video below. There isn’t a mention of the app or how they got there, but we are certainly interested. 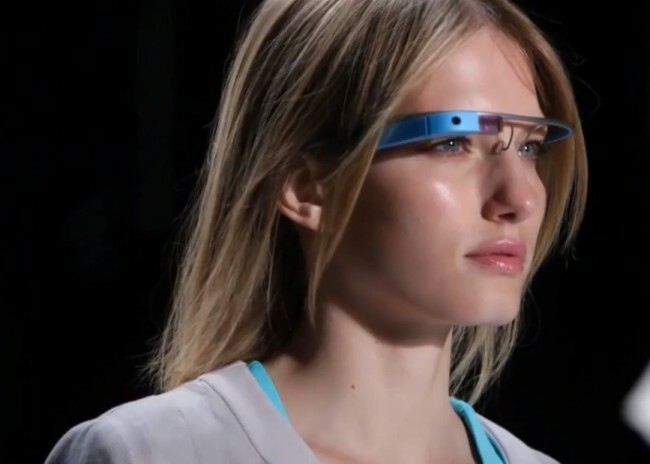 Still interested in Google Glass? Does Anything About Tomorrow's iPhone 5 Event Interest You?